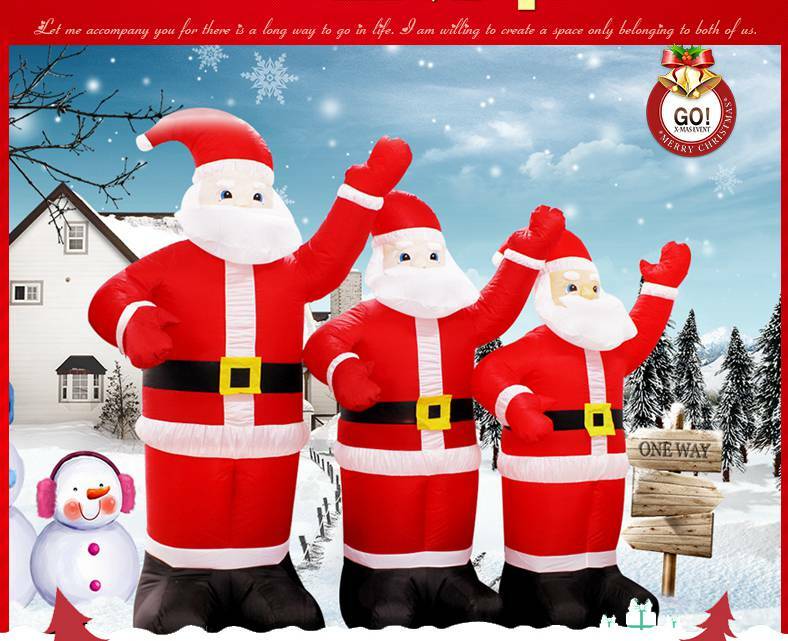 This Inflatable Santa Claus is a perfect decoration for indoor and outdoor activity. Self-inflate design with built-in fan which can be presented in minutes, just plug it in. Built-in LED light offers a better viewing at night. Can deflate back down for easy storage. Comes with ground stakes and tether ropes provide extra stable when inflate outside. 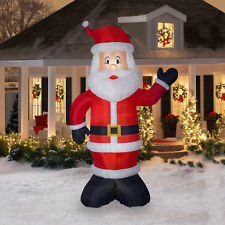 This inflatable is great for decor in and out of the home. The lighted design makes it perfect for your nighttime display. It can also be a great addition for your family photo. The lightweight materials and self-inflating design make it easy for anyone in the family to setup and take down. Once deflated, its compact design makes storage easy and allows it to be stored almost anywhere.